As one might guess from his book's title, Architecture of the Absurd: How "Genius" Disfigured a Practical Art , John Silber thinks that the architects who designed some of today's most critically acclaimed buildings are pretentious charlatans--who consider architecture art, and fancy themselves not architects primarily, but artists. Since he is neither an architect nor an architecture critic, however, but a former professor of philosophy and law who from 1976 to 2003 served as president, then chancellor, of Boston University, one may well ask, So what does he know about architecture? Lots, as it turns out--from lessons first learned at his father's knee. Paul George Silber had been trained in Berlin, in the Beaux-Arts tradition, "a school of design dedicated to architecture that is both beautiful and practical." From the age of eight until he was twenty-three, John would assist his father in such tasks as the measuring of buildings to be remodeled, which is not as easy as it may sound to untrained ears. As well as practical knowledge, he would learn about the history of architecture, and about the architects and sculptors his father admired--among them, Praxiteles, Michelangelo, Palladio, and Louis Sullivan, the mentor of Frank Lloyd Wright. The elder Silber, a figure of high moral rectitude, would also impart on-the-job instruction to his son on matters of professional ethics. The "expectations and requirements imposed on the responsible architect" were as much a part of the future scholar-administrator's education as learning how to design staircases from the lower to the upper floors of a building. While still a young man, John would spend one demanding summer as a draftsman in his father's office. "He expected no errors and with his help I learned to meet that standard," Silber recalls. In his twenty-five years as president of Boston University, Silber would put to good use all that he had learned as a youth and as an observer of buildings in later years. To the surprise of architects and contractors he hired, he personally oversaw the ambitious building program at the university during that period. Some of the architects at first resented his direct involvement, especially when he dismissed elements of their designs as "gratuitous bloviation" or pointed out errors in their plans. But Silber had learned his father's lessons well. In 2002, the profession paid tribute to his role in physically transforming the university by making him an honorary member of the American Institute of Architects. The following year Silber accepted an invitation from the Texas Society of Architects to address its annual convention. Architecture of the Absurd grew out of that address. A brief book--just 84 pages of text followed by useful notes and an index--it is profusely illustrated with color photographs of the exterior and interior of buildings, images that give force to its arguments and allow readers to reach their own conclusions. Of most interest here are Silber's remarks regarding architecture and art and the crucial distinctions between the two, and his unmasking of the self-styled "artists" who have sullied the profession. Early on, Silber observes that the term absurd is defined in the Oxford English Dictionary as "inharmonious, tasteless, foolish"; "jarring and out of tune" (in music); and more broadly, "out of harmony with reason or propriety, incongruous, unreasonable, illogical." The OED, he adds, "cites a particularly relevant quotation in which the absurd is illustrated by 'caprice . . . in preferring absurdity of invention to correct imitation.'" He then relates that while teaching at the University of Texas in the early 1950s, he participated in a series of informal seminars on the nature of art and architecture, arguing in part that architecture would never evolve into the equivalent of the theater of the absurd, as exemplified by Samuel Beckett's Waiting for Godot, or of avant-garde visual art such as Robert Rauschenberg's White Painting series [more], or of John Cage's 4'33 [more] [more] in music. Painters, sculptors, and composers, Silber laments, "were being rewarded . . . for engaging in the 'absurdity of invention'" and were being celebrated "for mere boldness in the absence of purposeful innovation." But architects, he was certain, would never descend to such depths, since they would always strive primarily to serve the functional needs of clients and to do so within budget. As the 1950s wore on, however, Silber noticed that absurdism had begun to dominate "other artistic fields," including architecture (by which he seems unwittingly to imply that architecture is a fine art). Observing that "an aesthetic of outrage [is] now common in all fields of art," moreover, Silber quotes Herbert Muschamp--the former chief architecture critic of the New York Times--who has proclaimed: "The ideal of 'not pleasing' is fundamental to modern art and modern criticism." Muschamp, he adds, "celebrate[s] the 'aristocratic satisfaction' of ignoring ordinary people's tastes" and, along with other critics and avant-garde artists, reflects "a consensus in the world of contemporary art, theater, and now architecture: art that shocks is the only art that will endure." visitors who walk the coil inward toward its center and then follow its spiral back out will experience first the imprisonment of the human spirit and then, on the return, its liberating expansion. Smithson knew all that? In truth, Spiral Jetty is not art at all, and nothing about it could possibly cause so specific a response. Like the abstract sculpture that absurd architecture seeks to emulate, it makes no sense--unlike good architectural design in Silber's view. My purpose was to liberate the human spirit, to let it soar from within to without, no longer imprisoned by the home. In this I have created a democratic architecture dedicated to human freedom. Though admiring of Wright's prairie houses at the time, Silber wondered even then why architects feel compelled "to talk aesthetic and philosophic rubbish," and why, "more importantly," clients are "impressed and even intimidated by it." As noted by Silber, Fallingwater was marred from the outset by Wright's tendency to give engineering concerns short shrift. Soon after it was completed, its cantilevered balconies began to crack and droop, forcing the owner to resort to costly restoration ["Saving Fallingwater"] after Wright had insisted, despite an engineer's report citing the need for structural reinforcement, that his original plans be followed. Silber's own insistence that a work of art "should be self-contained and its meaning apparent without extensive verbalization" lends force to the argument that neither Smithson's jetty nor private residences designed by Wright are art. I would go even further to argue that the meaning of any work of art ought to be apparent on some level without any verbalization at all. Consider, in this respect, the Museum of Modern Art's assertion quoted above. Then ask yourself if an ordinary visitor to Fallingwater would grasp such high-level concepts as "an American democratic ideal" and living a "free" life in nature, without being told that this is what the house symbolizes. I do not think so. As for why architects "feel duty-bound to talk aesthetic and philosophic rubbish," the answer is clear, in my view. It is for the same reason that avant-gardists such as Smithson do so. 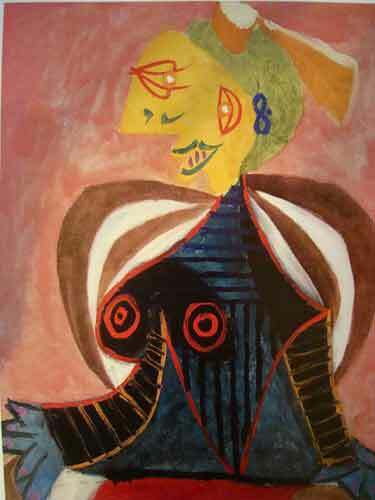 No real artist--painter, sculptor, composer, playwright, or poet--need talk that way about his work, and most do not. Their work speaks for itself, its meaning is contained within. Wright (whom Silber justly admires for his elegant designs), like Smithson, manufactured meaning for his work in order to convince himself, and others, that it was art. With the encouragement of historians and critics and on their own, some architects began to think of themselves as fine artists--as artistic geniuses creating habitable large-scale sculptures. . . . These proponents of architecture as sculpture are largely indifferent to the requirements imposed on the architect. Much of the latter part of Silber's book deals with architectural absurdities by two of today's most celebrated architectural "geniuses"--Daniel Libeskind (who submitted a "completely impractical" design in the competition for the World Trade Center tower) and Frank Gehry. (1) Both architects resort to "rubbish talk" regarding their work. Libeskind, for example, has claimed that his WTC design was inspired by his "rereading [of] the Declaration of Independence, the U.S. Constitution, the poetry of Walt Whitman, and 'The Two Churches,' a short story by Herman Melville [!]." Libeskind also claims that his Jewish Museum in Berlin was based on a broken Star of David. Silber, however, can find no star at all, broken or whole. Cuts on the exterior of the building have been said by Libeskind to suggest locations in Berlin where Jews once flourished, but Silber argues that they cannot be correlated with actual locations in the city. "Theoryspeak [a term he borrows from Tom Wolfe] speaks again" he mocks. Libeskind now asserts that the slashes are actually edges of a "crystal, a structure of organically interlocking prismatic forms [that] asserts the primacy of participatory space and public choreography." Silber dismisses this as the sheer "metaphysical spin-doctoring of senseless contrivances." 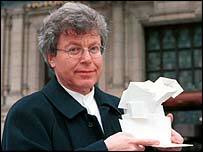 Libeskind, Silber further reports, convinced the board of the Victoria and Albert Museum in London to approve (despite public disapproval) his plans for an extension to the museum--by urging that they choose "a work of art [the extension] [Libeskind holding a white model of a similar work] that would inspire and endure," and by falsely claiming that no great art, be it architecture, music, literature, painting, or sculpture, is appreciated at first. Silber regards Libeskind's assertion as an example of "the fallacy of the 'iconic architects': [the notion] that a building is fundamentally like a book or sculpture or piece of music." Silber is not entirely opposed to iconic, or landmark, buildings, however. Boldness, he argues, can be a virtue in architecture, as long as "the finances are secure" and the structure serves its intended function. He cites as an example Santiago Calatrava's design [more] for the World Trade Center's new transportation hub and PATH terminal--meant to evoke Gothic cathedrals, which Calatrava is said to like "for their sincerity, for the way they plainly show their structure." It is not at all clear, though, why Silber is prompted to inject the observation that "the religious connotation of the Gothic seems particularly appropriate on the site of Ground Zero"--though one can well imagine Calatrava (who has claimed that his design for the terminal was inspired by the image of "a bird being released by a child's hand") suggesting such a comparison. "For all its flourishes," Silber observes, "Calatrava's design is also practical, allowing light to pass from the surface down to the platforms below." This is not merely a matter of form reflecting function but of innovative form allowing for new, appealing functions. Calatrava's practical genius (3) fashions buildings that allow his clients to enjoy them in ways they might not have imagined. Note, again, the term practical, designating an essential attribute of architecture in Silber's view. Yet he concludes his remarks on the Spanish architect by ambiguously declaring that, despite designs that are "expensive and time-consuming to build . . . no one need suffer for [Calatrava's] art." I assume that he means Calatrava's practical art (not fine art), as the subtitle of his book suggests. Calatrava's "iconic" buildings are "both bold and well engineered," Silber maintains. (4) Gehry's buildings are just bold. The undulating stainless steel shapes of his Walt Disney Concert Hall [more] [more] [auditorium] in Los Angeles, for example, had to be covered with a matte-finished cloth because they reflected sunlight into neighboring apartments, considerably raising the temperatures inside and virtually blinding their occupants. Many of his buildings, such as the performing arts center [more] at Bard College at Annandale-on-Hudson, NY, simply lack "excellent form." [Their] buildings . . . are every bit as contemporary as those of Gehry . . . and Libeskind, but . . . have been designed to give their clients beautiful buildings that are not excessive in either design or cost and that are well suited to their functions. They were designed by brilliant architects who consider beauty, utility, and economy more important than shock and waste. Gehry, on the other hand, objects to the "sort of rules about architectural expressions" that have to "fit into a certain channel"--rules he chose not to follow in his design of the Disney hall, for example. "Screw that," he declares. "Doesn't mean anything. I'm going to do what I do best"--that is, build habitable abstract "sculptures." Perhaps there will always be clients who are happy to fulfill Gehry's artistic ambitions, despite the waste and inutility inevitable when architecture is practiced as a fine rather than practical art. But great architecture does not depend on, rather is compromised by, this confusion. Many superb architects--who know that the limitations of architecture are to be respected rather than "screwed"--create splendid buildings while fulfilling the goals of their clients. 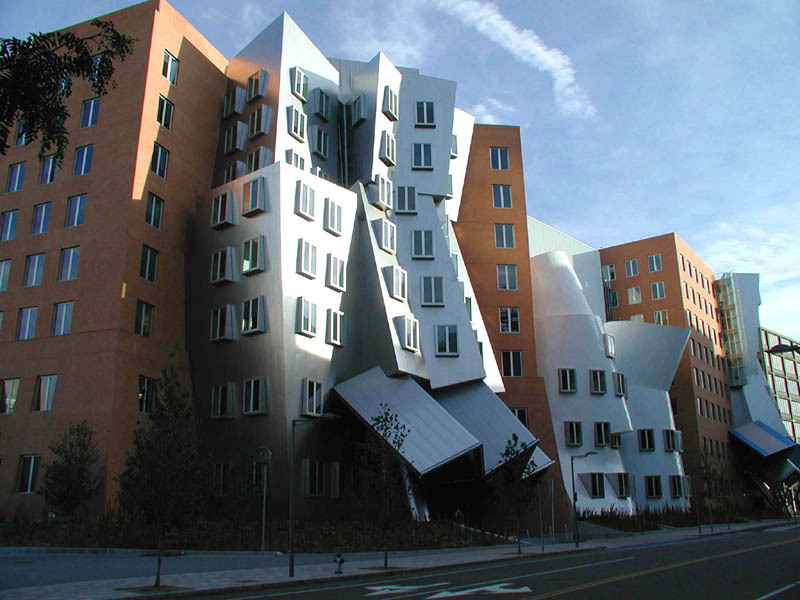 Silber reserves his most caustic criticism for Gehry's Stata Center [interior] for science and research at the Massachusetts Institute of Technology, which he dubs "the pièce de résistance" of absurdity in architecture (it is pictured on the book's cover)--an "expensive, defective architectural monstrosit[y]" whose final cost was triple the original estimate, and which was completed some four years past the projected date. "Vintage Gehry," he opines. "Screw cost, screw time"--one can imagine Gehry proclaiming--"I'm an artist, a sculptor, not an architect. Screw the institute staff, whose salaries were frozen because of cost overruns, and the poor stiffs [250 of them] who lost their jobs the following year. What are they to me?" Most ordinary mortals who admire architecture, whether they consider it art or not, do so from the outside. Those who work inside iconic buildings day after day tend to narrow their concentration on more mundane things--such as lobby elevators, offices, conference rooms, and cafeterias--which scarcely evoke the qualities that one associates with art. Regarding the Stata's interior, Gehry wanted, as Silber puts it, "to force the center's brilliant scientists to interact," and therefore designed offices without walls, so that colleagues could stop by and chat. The scientists, however, insisted upon some privacy, and now must work in offices with glass walls. Oh, and then there was that pesky problem when winter snows melted or summer rains let loose---the roof leaked! (Not reported by Silber is the cascading snow and ice that has blocked emergency exits in winter.) And there was also a creepy mold that invaded brick portions of the building's exterior. So MIT did what you might do. It sued Gehry. John Silber has received an Aristos Award for Architecture of the Absurd. See also his letter in response to this review. 1. Silber refers to the architectural style typified by Gehry and Libeskind as the "absurd" or "absurdity" movement. Architect John Gillis more precisely cites the two as proponents of the "deconstructionist" style--which, he adds, supplanted the "postmodern" approach of the 1980s and early 1990s. In contrast, Gillis characterizes his own style as "organic," a term derived from Frank Lloyd Wright's conviction that architectural form and function should be integrated. See "Interview with John Gillis," cited in Further Reading. 2. The notion of living in a work of art has always seemed to me rather strange. When you view a sculpture or painting, read a novel, hear a symphony, or see a ballet or play, you remain at every moment aware of the work as a discrete entity apart from you. As Silber remarks, "no one lives and works in a sculpture; unlike a work of architecture, it is an aesthetic object and is observed from without." But proponents of architecture as art demur. Architecture is an exception, they insist. In its case, one can "live" (or work or play) in art--which must include engaging in such activities as _____, _____, and _____ in it (you fill in the blanks). 3. Indiscriminate use of the term genius ought to be outlawed, even if preceded by a qualifier such as "practical." Calatrava's initial design may have been an admirable engineering feat that served a practical function, but "practical genius" seems sheer hyperbole in this context. Though Silber criticizes clients for being impressed by "aesthetic and philosophic rubbish," he seems here to have been influenced by such talk himself. Calatrava's design may indeed serve its practical function, but did it have to resemble a bird in flight to achieve that? I would term it "visual rubbish," whose only purpose is to impress clients. Clearly, it worked. 4. Since the time of Silber's writing, Martin Filler, the architecture critic for the New York Review of Books (and no fan of Calatrava's), has reported that "likely cost overruns of almost $1 billion on initial estimates of $2.2 billion would compel serious modification of Calatrava's much-ballyhooed PATH terminal at the World Trade Center site, planned for completion a year ago but now unlikely to open before 2013." "Calatrava Trauma: Bird Man Gets His Wings Clipped in Manhattan," in Culture Grrl weblog, April 28, 2008. One hopes that Silber would be critical of such overruns. 5. 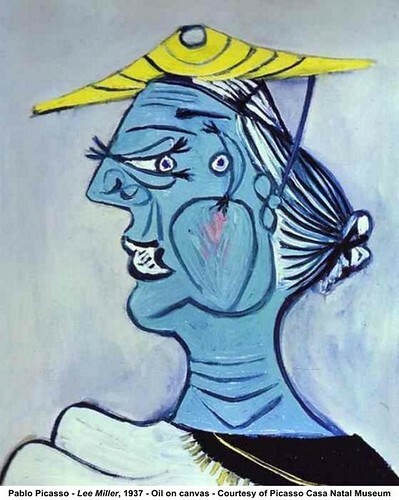 In his monumental study, Madness and Modernism: Insanity in the Light of Modern Art, Literature, and Thought (1992), clinical psychologist Louis Sass compares the analytic cubist paintings of Picasso [see, for example, Ma Jolie (Woman with a Zither or Guitar), 1911-1912] and his portraits [such as Lee Miller, 1937] [also, Portrait de Lee Miller en Arlésienne, 1937, Paris Musée Picasso] [cf. photographs: Lee Miller, c. 1927, and Self-portrait in Headband, 1933] to the "multiperspectivism" of schizophrenics--"a desire to occupy, if only for a moment, as many points of view as possible." Though Sass does not comment on architecture, anyone seeking to understand avant-garde trends in the field would benefit from reading this book. 6. The validity of Silber's contrarian central thesis is unassailable in my view, notwithstanding occasional inconsistencies on his part. I should note, however, that he takes a grossly ill-informed swipe at Howard Roark, the architect-protagonist of Ayn Rand's novel The Fountainhead, when he claims that architects who "consider themselves descendants of Nietzsche's Zarathustra, 'geniuses' who by right break all laws and conventions," are like Roark in "behav[ing] as if they owe nothing to their clients or the public beyond the gift of their genius. They consider themselves uniquely qualified, insightful, creative wellsprings of ideas, commissioned to stamp the world with their iconic visions." "It's so near somehow . . . but it's not right. I don't know where, but it's not . . . . if it had some unity, some . . . some central idea . . . which is there and isn't . . . if it seemed to live . . . which it doesn't . . . It lacks something and it has too much. . . . If it were cleaner, more clear-cut . . . what's the word I've heard used?--if it were integrated. . . ."
Roark seized the sketch, his hand flashed forward and a pencil ripped across the drawing, slashing raw black lines over the . . . watercolor. The lines blasted off the Ionic columns, the pediment, the entrance, the spire, the blinds, the bricks [all the features added by Snyte]; they flung up two wings of stone; they rent the windows wide; they splintered the balcony and hurled a terrace over the sea. . . . Roark's hand went on razing the walls, splitting, rebuilding in furious strokes. Roark is fired by Snyte on the spot, but Heller has his integrated design and Roark his first commission as an independent architect. "That's the house I want," Heller tells him, "because that's the house I always wanted." An architect of intransigent integrity (like Silber's own father), Roark gave Heller a concretization not of his "iconic vision," as Silber implies in broad generalization, but of precisely what Heller himself had attempted to put into words--a design fully integrated with the spirit of the site he had chosen. Hicks, Stephen. "Interview with [architect] John Gillis," Kaizen (Center for Ethics and Entrepreneurship, Rockford College, Rockford, Ill.), September 2007. This informative interview touches upon the practice and history of architecture, and offers insights into how some architects--at least this architect--think and work. On the matter of whether architecture is art, Gillis and I (as well as Silber) disagree. Nevertheless, he is a very fine architect, who happened to design a house for me years ago--unbuilt for personal financial reasons). For examples of Gillis's work (which Silber would likely admire), see his website. Readers will not be surprised to learn that he studied at Taliesin [more], the Frank Lloyd Wright School of Architecture. Kamhi, Michelle Marder. "Living in a House by Frank Lloyd Wright," What Art Is Online, January 2002. Langdon, Philip. "Avant Garde Against Humanity: The Rise and Fall of Anti-Social Architecture," The American Enterprise, January-February 2002. Rose, Charlie. "A Conversation with Architect Frank Gehry," Charlie Rose Show, PBS, May 19, 2009. Few ordinary people want airports to look or feel like works of art, it seems. According to Rybczynski, "People just want to get where they're going as quickly and painlessly as possible. The best you hope for is that you get through the security line quickly, your flight's on time, there's space for your bag in the overhead bin, and if you're really lucky, the adjacent seat is empty. Airports have become as ubiquitous--and about as glamorous--as bus stations. Perhaps that's really the new model. . . . [T]he bus station will be light and airy, but the kind of theatricality shown by the first generation of airports now seems out of place." ----. The Look of Architecture. Penguin (Non-Classics), 2003. ----. 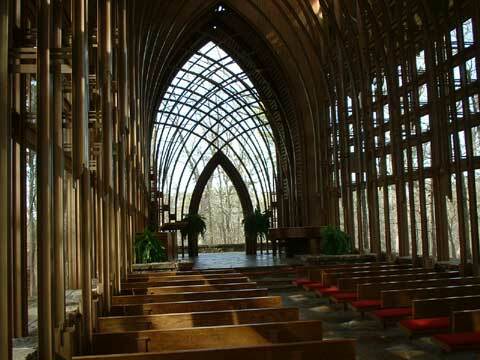 Looking Around: A Journey Through Architecture . Penguin (Non-Classics), 1993. In "But Is It Art?" (in chapter III, "The Art of Building") Rybczynski argues that "Architecture, like painting, is an art . . . in the sense that 'art' refers to any skill applied to a creative activity. . . . But calling architecture an art, puts it in the minds of most people, in the same category as painting and sculpture [fine art], whereas designing buildings actually has little in common with the other plastic arts." Torres, Louis. "'Mere' Architecture?" (on Frank Gehry), What Art Is Online, November-December 2001. ----. "Santiago Calatrava: An Architect Who Makes . . . Sculpture?" Aristos, December 2005.